If huge burgers, fresh seafood, loaded tacos, from-scratch soups, and PINCHOS are your thing then this is your spot! 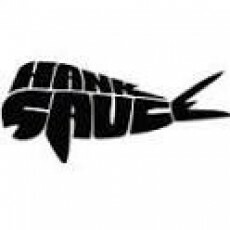 We focus on quality and creativity with everything that comes out of the Hank Sauce kitchen. Our meats? PREMIUM. Our seafood? FRESH. Our produce? LOCAL.We strive to serve original creations that you won't find elsewhere 'at the shore'. Grab a bite for the beach, we're just a few steps away (with plenty of parking) making pick-up a breeze! Bring the family and bring your own for a delectable meal in a casual, family friendly setting. We're located at 8605 Landis Ave in Sea Isle City 'on the other side of town. ' Go the extra mile; we promise to do the same.